In big cities, we always have complains about the small size of kitchens. Due to high population and a high cost of living one has flat with less area for kitchen. 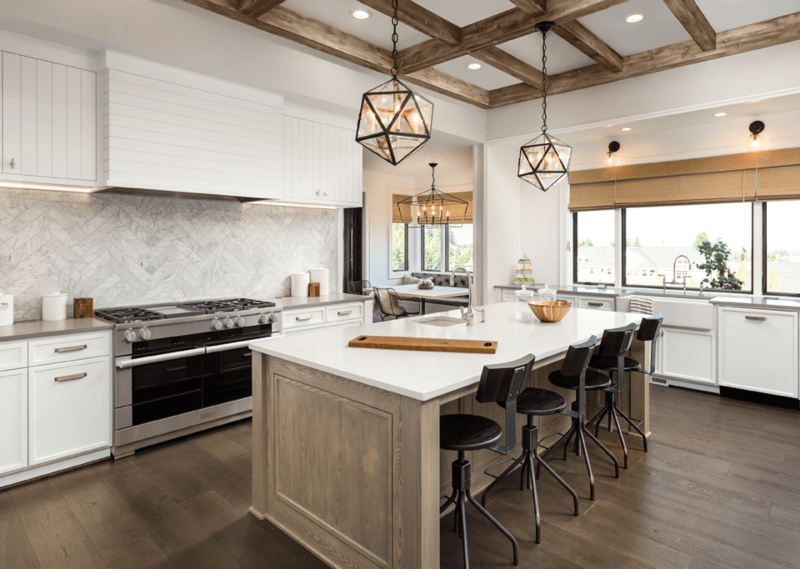 However, one can use an available size of your storage, as the kitchen storage space is the big problem for the small kitchen. Now, How to use available space of small kitchen? So; you have less per sq. meter area in your kitchen, the solution for that one can use the upright space in the kitchen. One can store pots, small and big bowl, bucket, big can, Pan, jar, jug, and mug etc. Here one can put an important item on the first shelf to get it easily. In the kitchen we are not using some items daily or not used often as a pastry cutter, defective appliances, broken plates, etc. If we remove all that non used items then we can have more space in the kitchen. Many a times we leave small spaces in our kitchen and not use it. For a small kitchen, we can make use of the wall for storage,like we can use the wall near to fridge as storage for jars, small jug, bottles, etc. There are certain items which we can easily put in refrigerator for that items we don’t need to use in storage, similarly small jars, small containers we can also put in our oven, as in Indian kitchen we use oven occasionally. For an owner of a small kitchen, these cabinet comes as a blessing. For lower cabinets, one can choose a size of 24 inches deep so one can store big items like grains, rice, and a big packet of sugar. For upper side cabinet, one can select 13 to 15 inches cabinet to use it efficiently, as in small kitchens sq. foot area is limited, hence vertical part is always important. 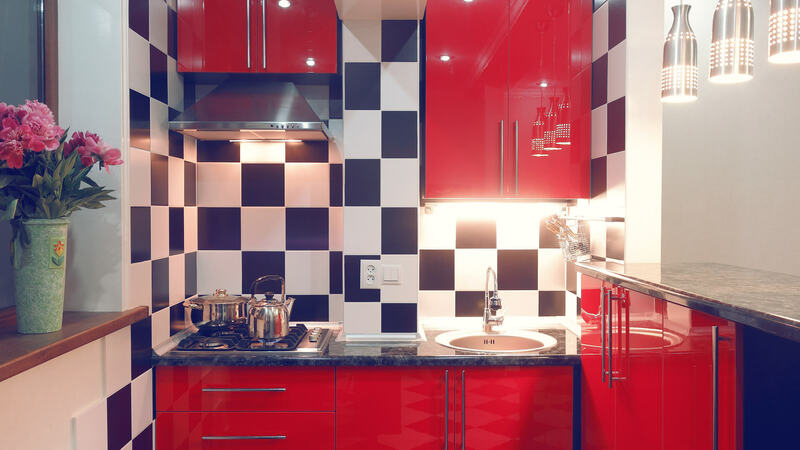 Small houses have their own advantage but a small kitchen is very difficult to organize. Therefore to organize one need to compromise with some needs like, like we always prefer double sink for washing and it is beneficial also, however, we have lack of space, and therefore, one should choose a single sink for more storage purpose. 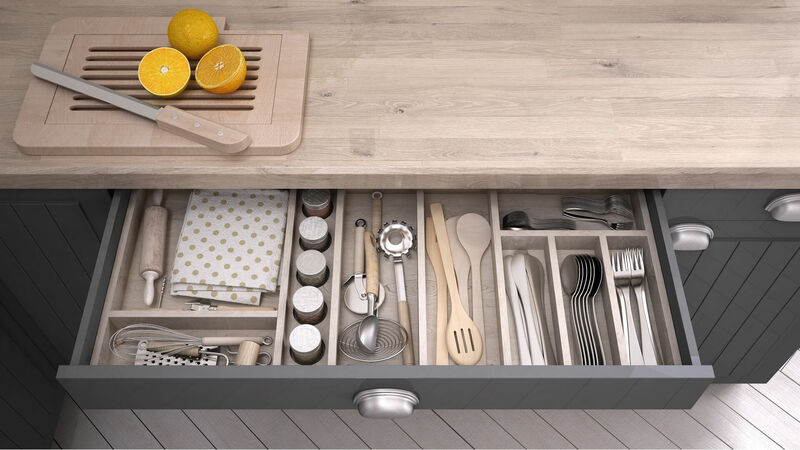 We use spoons, knives, bottle, and other small essentials .A drawer is a place in which one can put these small essential items which use daily in our kitchen, hence drawer must be shallow. Use Kitchen shutter for an efficient use wall. One can put Jars, jugs and small packets. One can select kitchen shutter from plywood or hardwood. For bigger cabinet, one need to choose dishwashers that are less consuming, nowadays 18 to 22 inches dishwashers are very famous as they consume less storage. One can put all smaller utensils and essential in these steel baskets to save storage in drawers and cabinet. The above-mentioned tips help you get more storage space in your kitchen that is less in space.